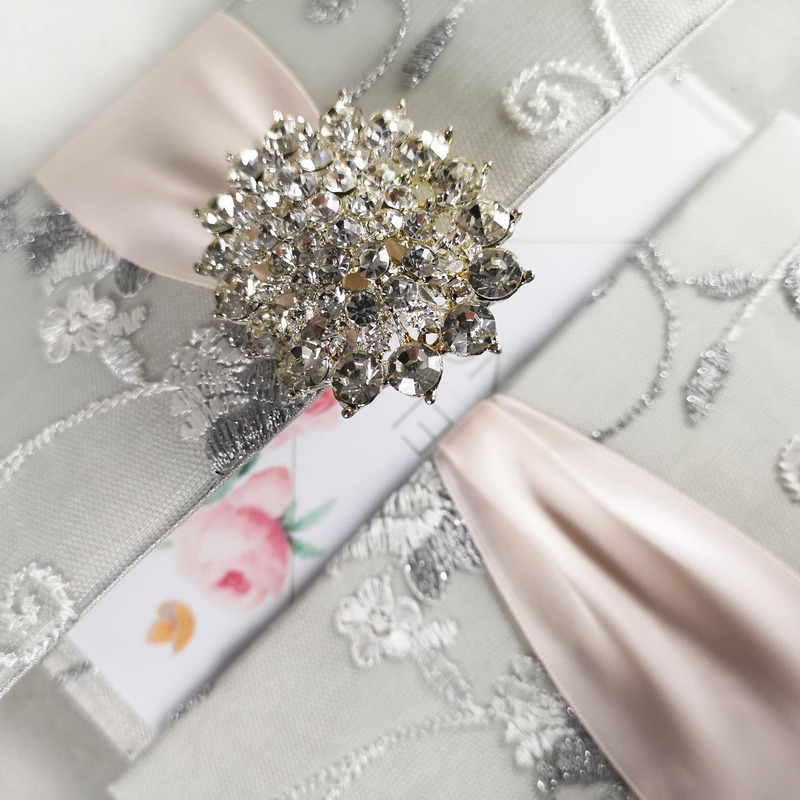 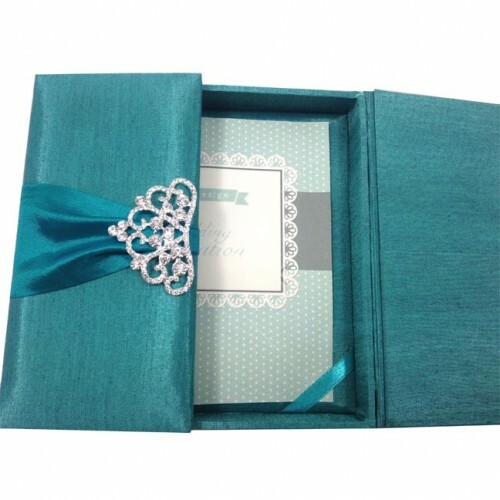 Couture wedding invitation with large rhinestone brooch embellishment, baby blue velvet cover and gatefold design. 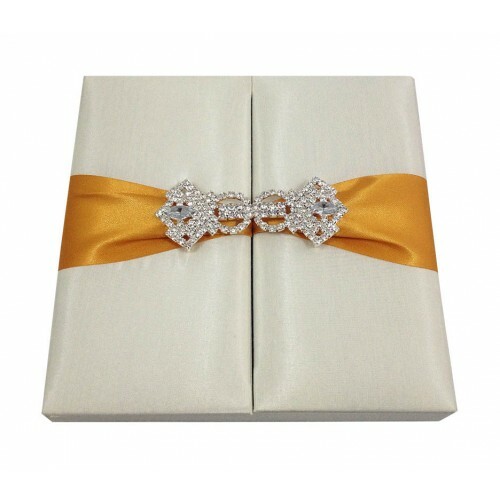 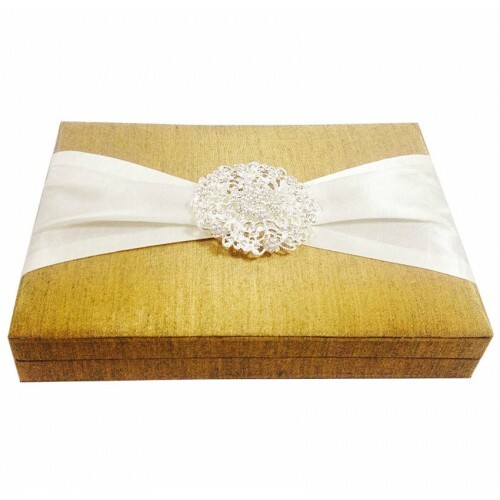 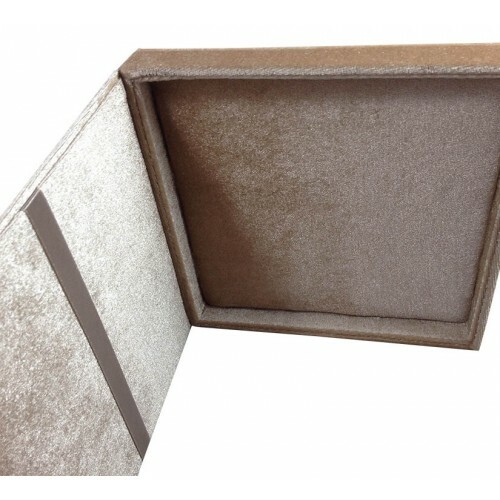 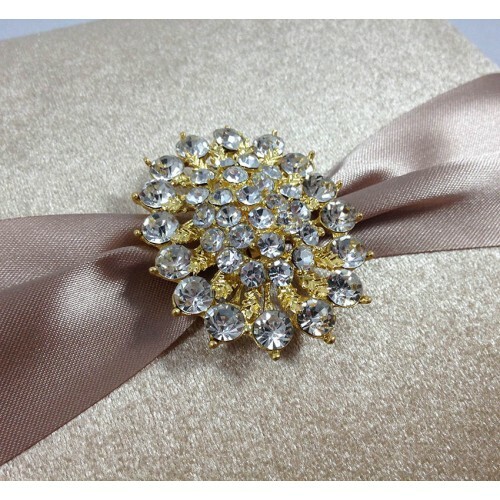 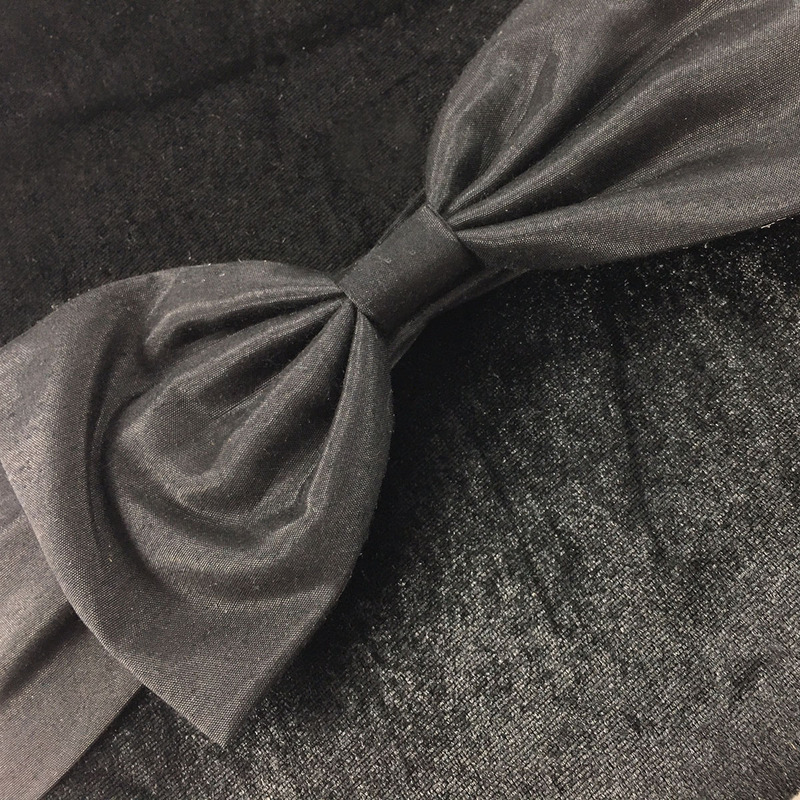 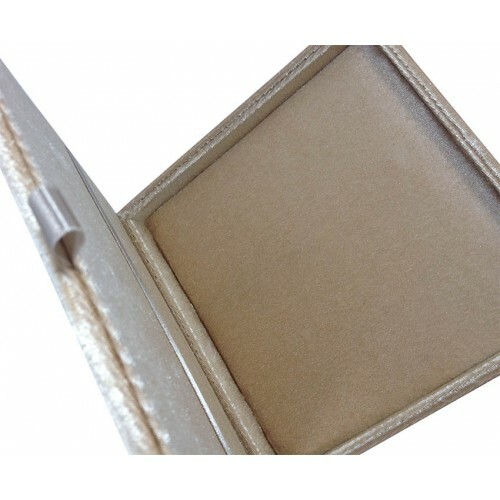 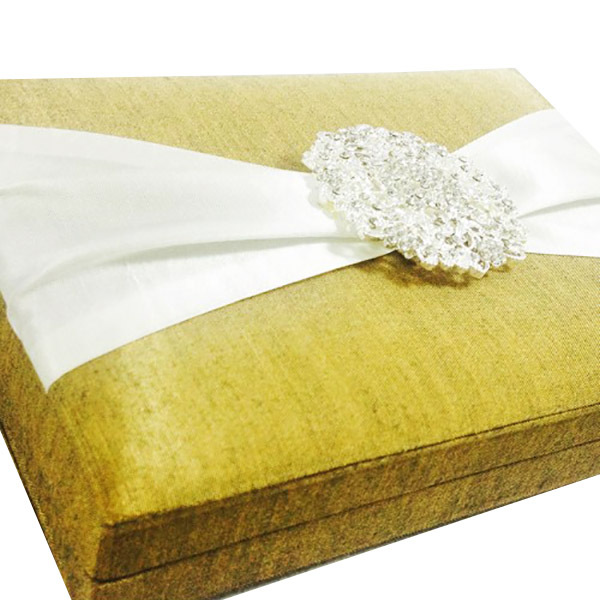 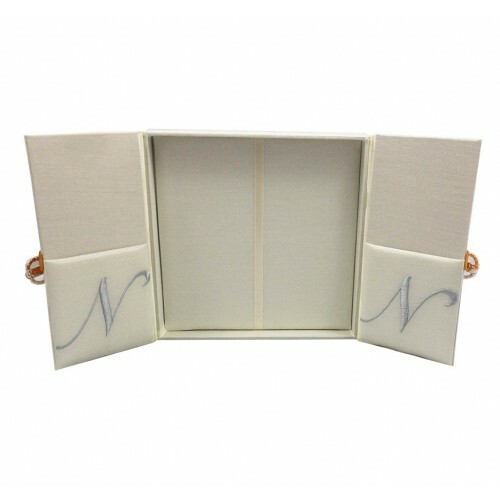 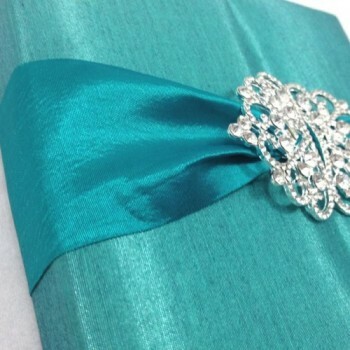 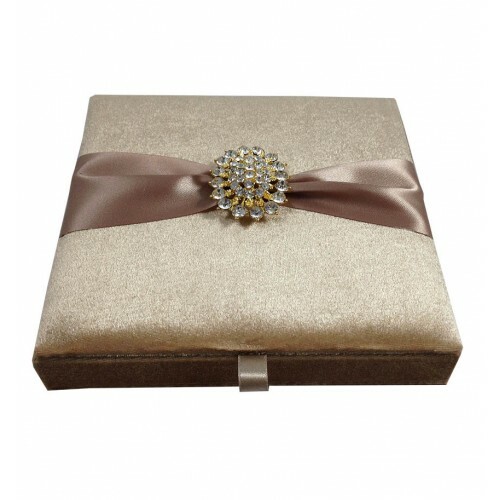 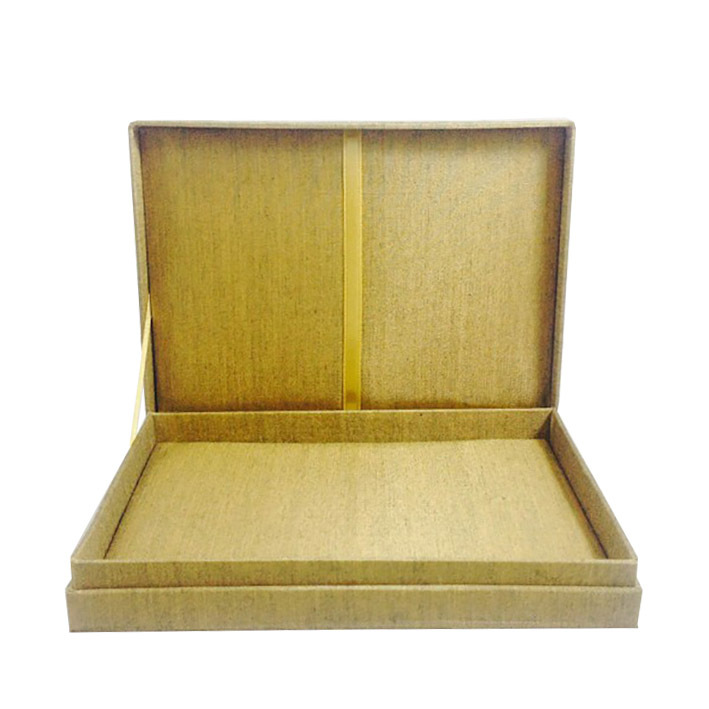 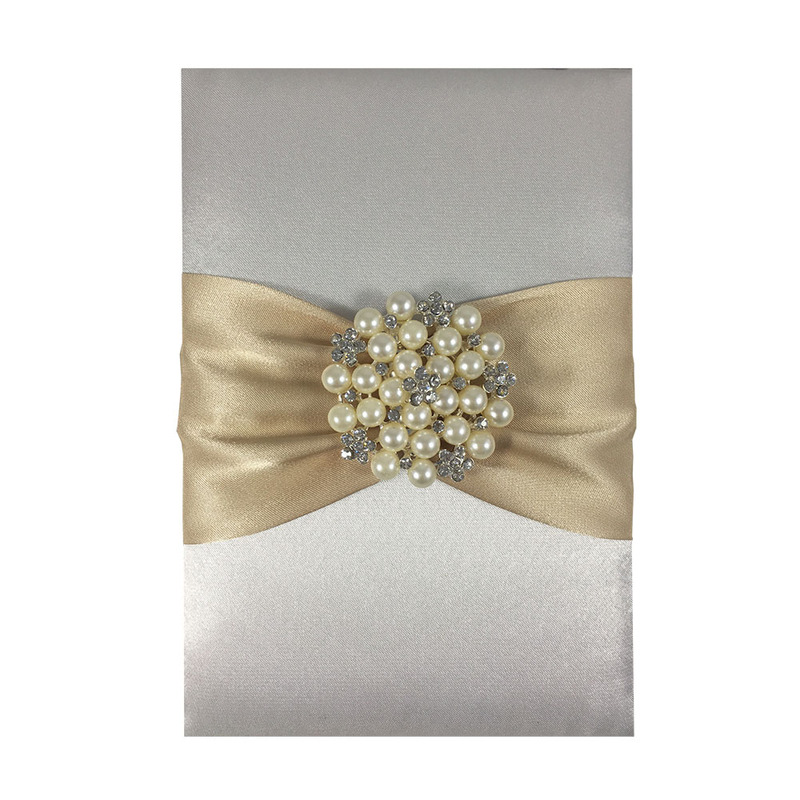 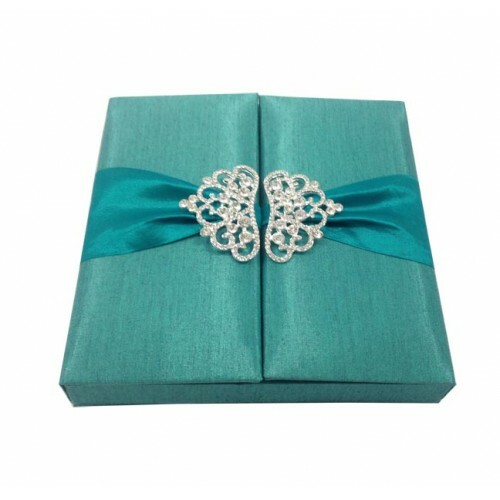 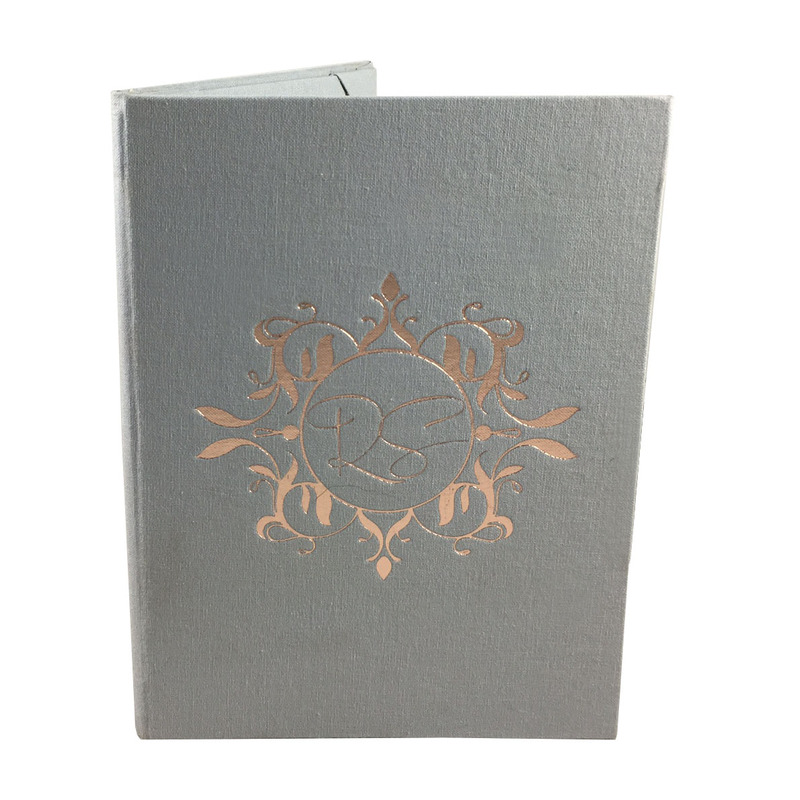 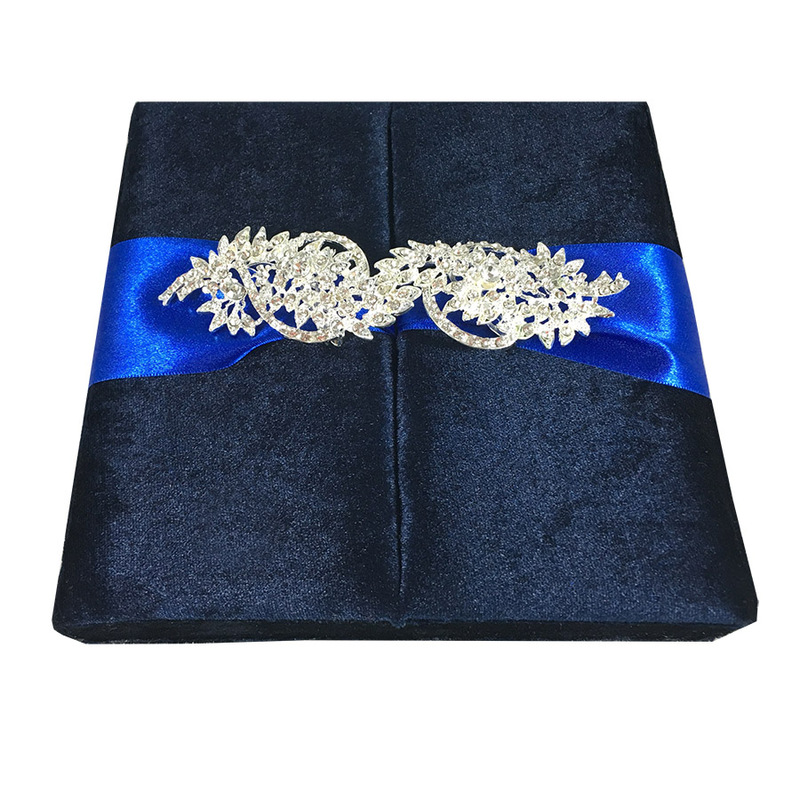 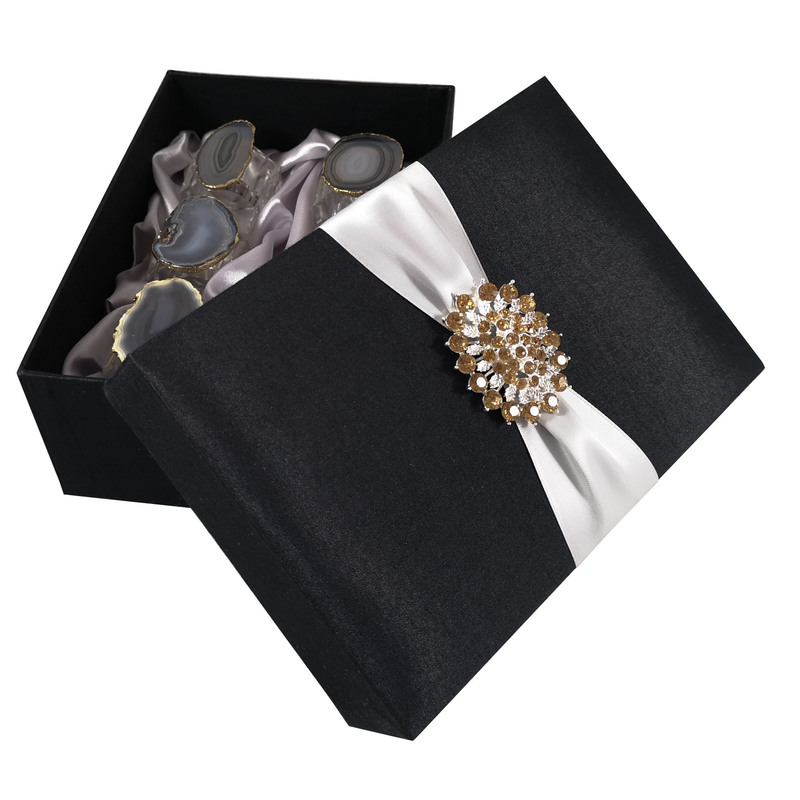 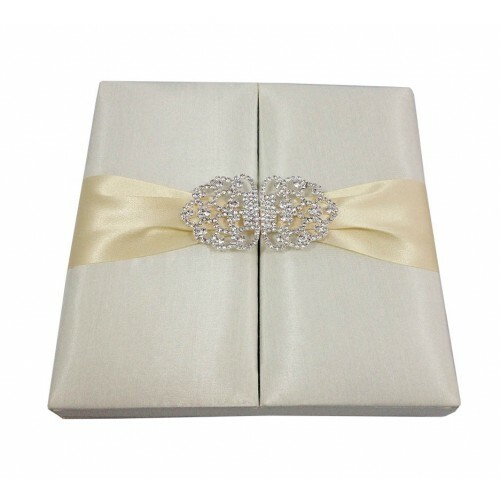 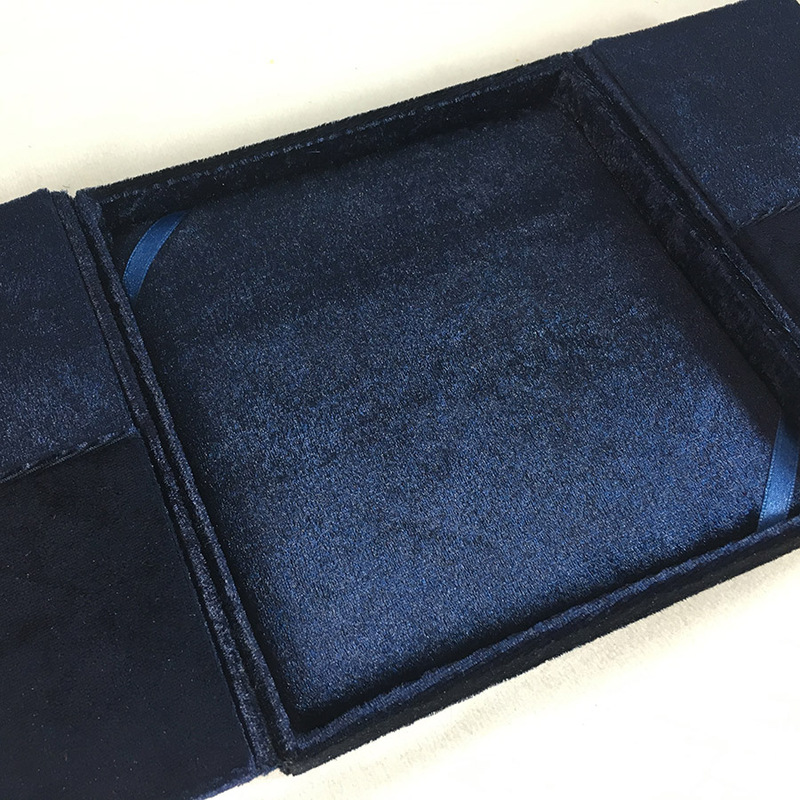 The soft feeling of velvet and exclusive look makes it perfect for wedding invitation boxes. 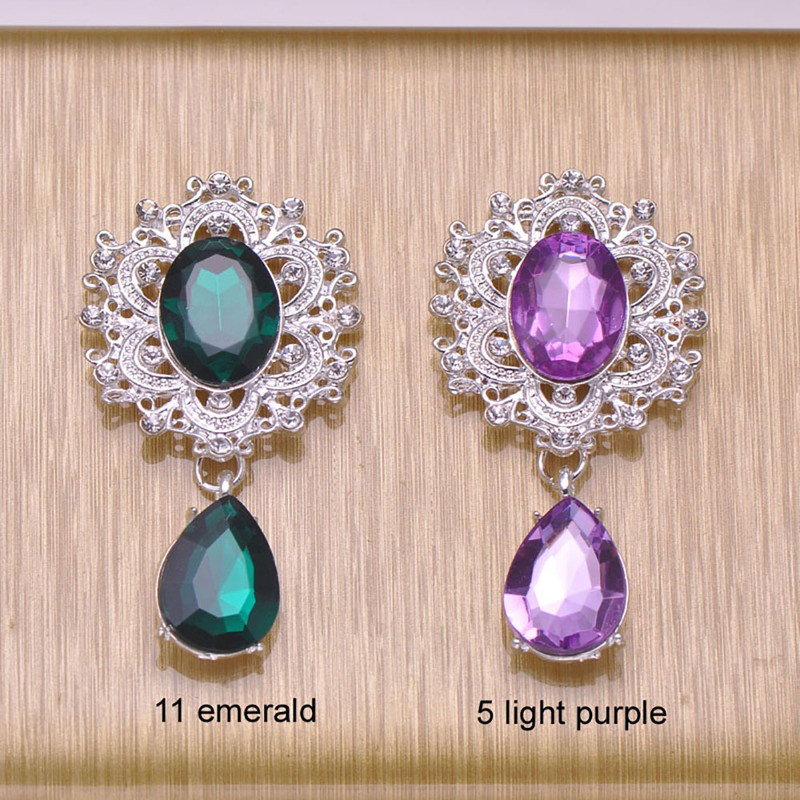 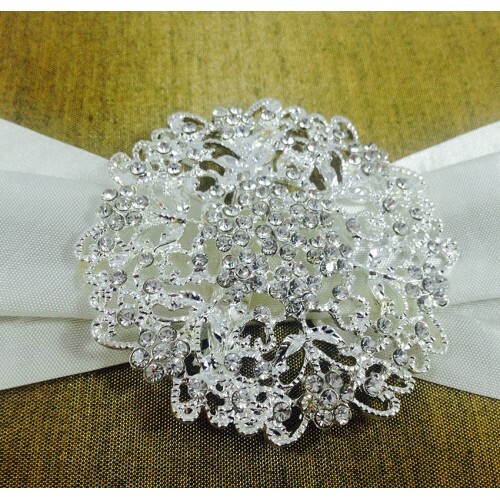 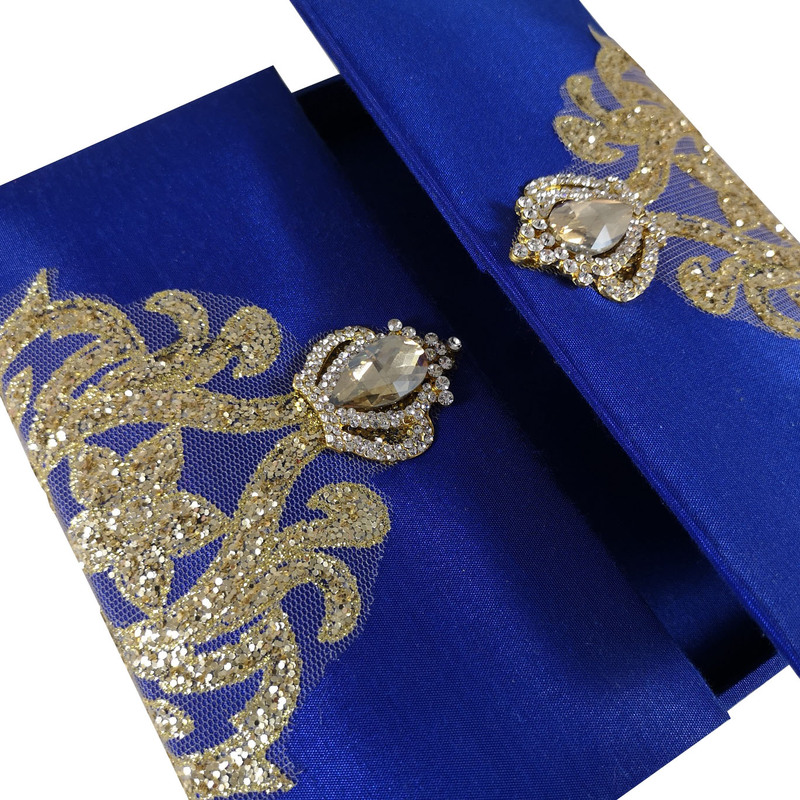 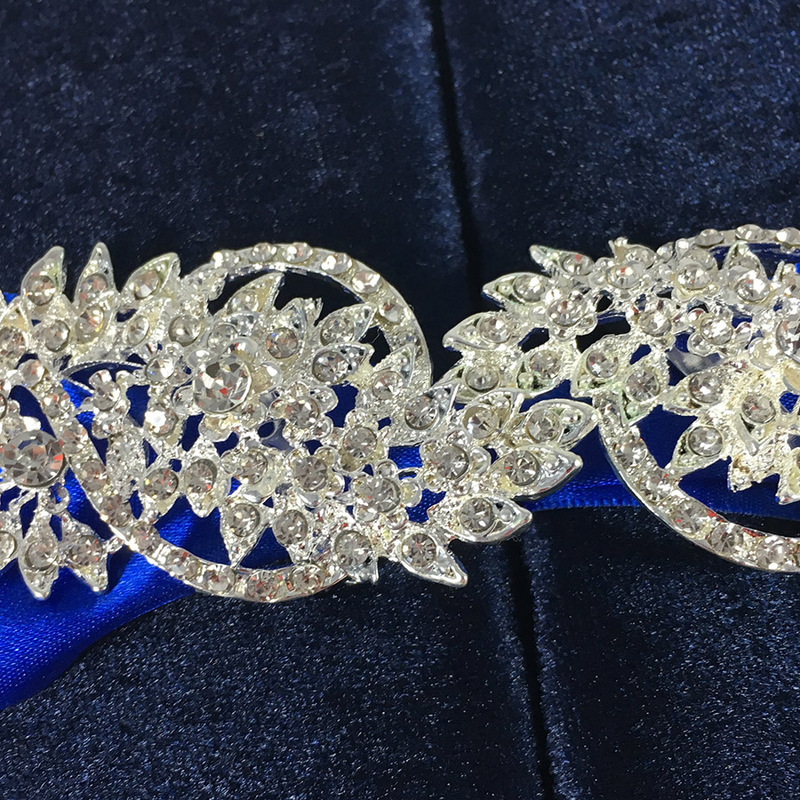 Featured design is shown in navy blue with electric blue ribbon and silver plated huge rhinestone brooches. 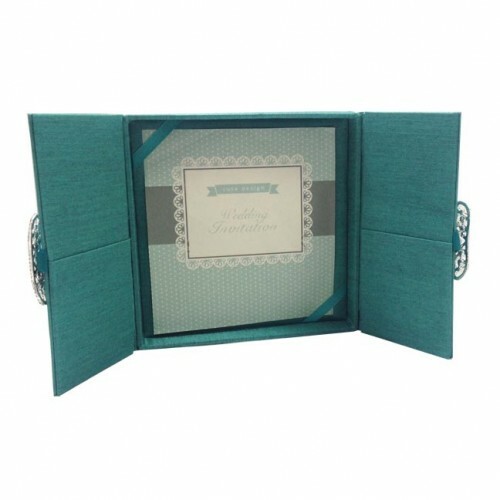 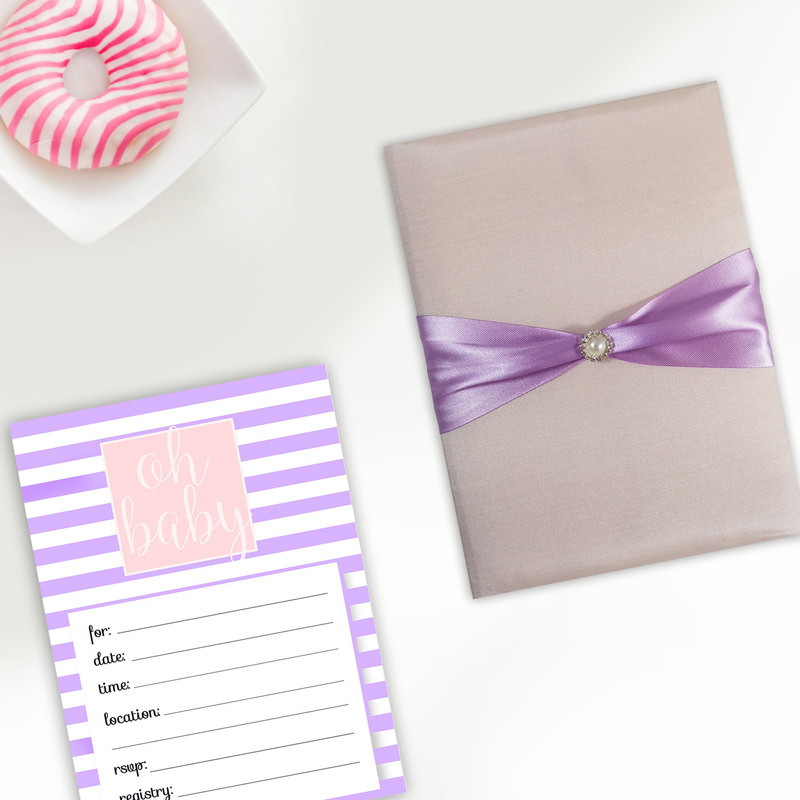 Place RSVP cards in the pockets inside the box additional main cards go in the center of the box by sliding them under the ribbon holder in it’s corners. 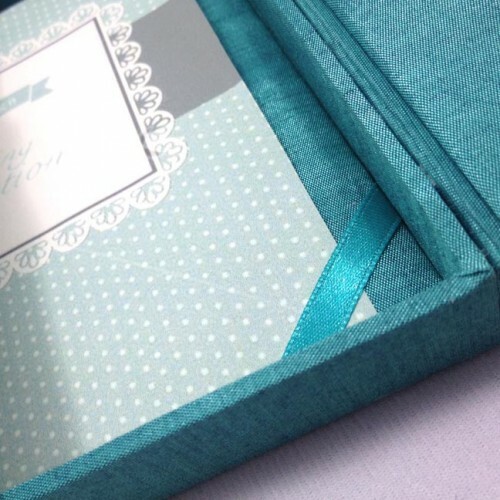 There is one ribbon holder on the top left and another on the bottom right side. 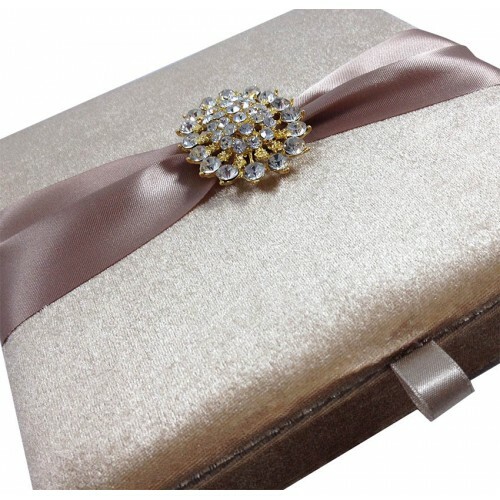 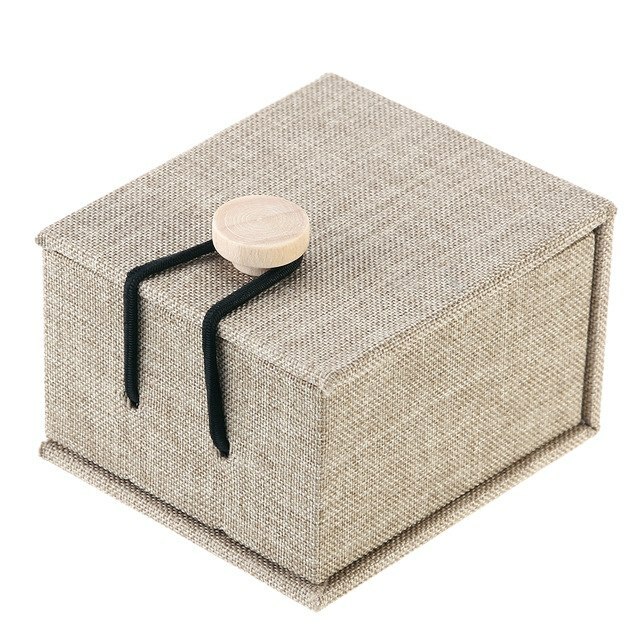 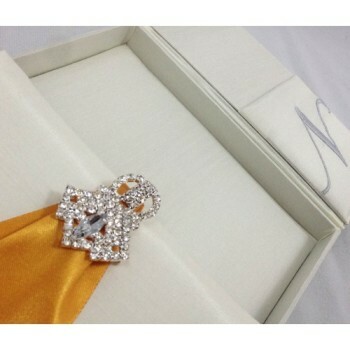 The entire wedding box is padded inside and outside. 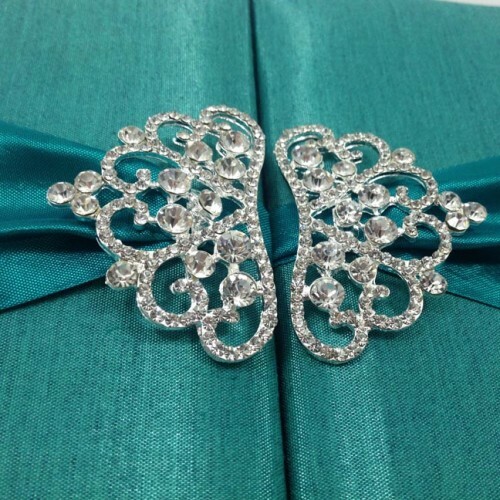 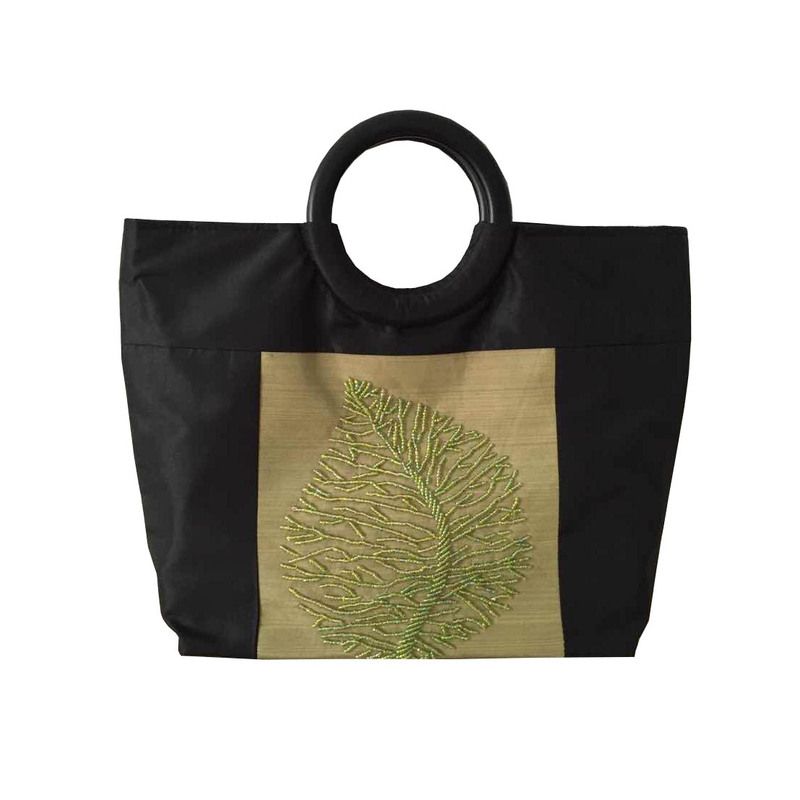 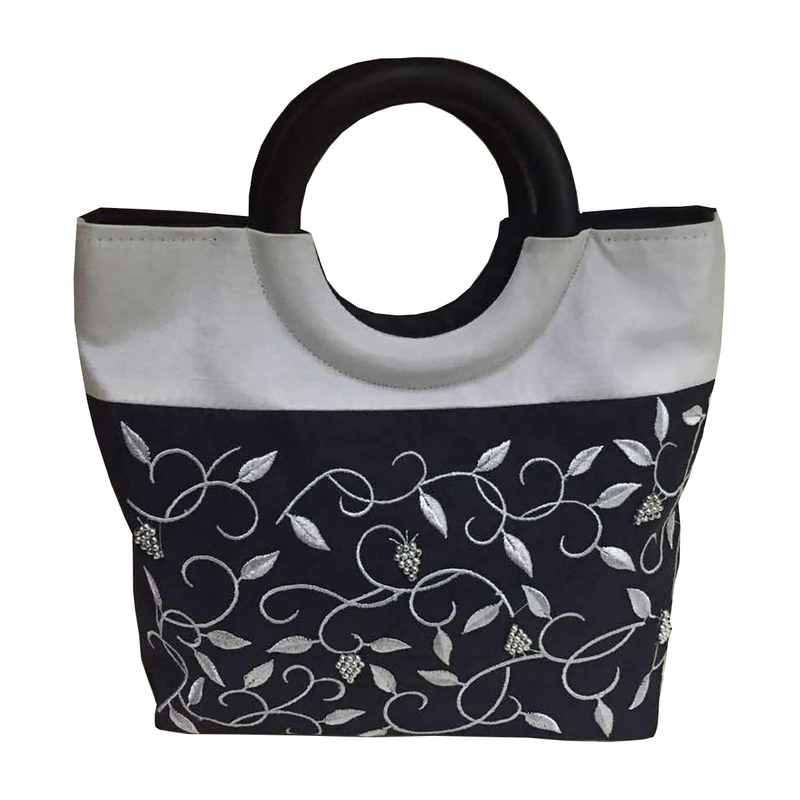 Clients can place orders of this design also in a specific color or size upon request.